of the ‘middle path’, that seeks to find a lasting coexistence between tradition and modernization. Set high in the Indian Himalaya, Ladakh is home to a rich Buddhist culture and an ancient tradition of folk singing. In the 1960s as economic development thrust change upon Ladakh, Morup Namgyal, Ladakh's greatest folk artist, began his lifelong efforts to preserve his beloved folk songs. 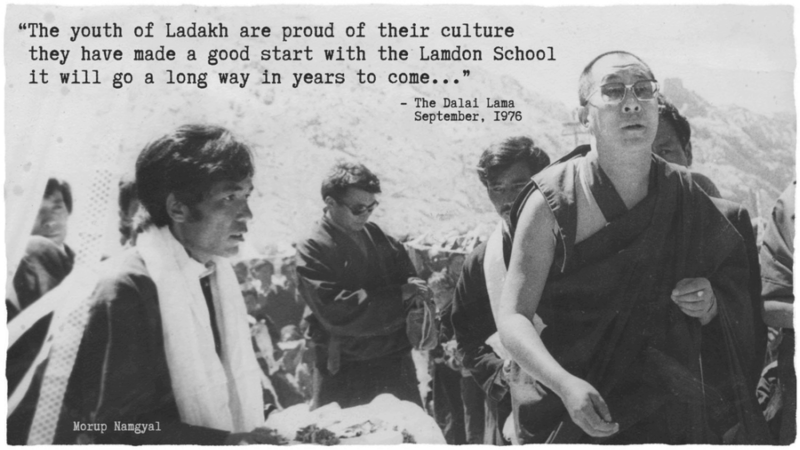 Using song as the medium, Morup and his peers sparked a social movement that would bring about profound and enduring change in Ladakh. It was a movement built on education, tradition, and preservation. What Morup could not imagine at that time was that he would ultimately embrace development and modernization. Morup lives with his wife, daughter and ten year-old grandson, Nono. Just as Morup learned the traditional songs from his grandfather, he is now teaching them to Nono. They practice in the living room, perform at wedding ceremonies, and visit Ladakh’s monuments to learn the history behind the songs. Despite the intrusions of modern technologies and entertainments, Nono loves learning the folk songs, and to Morup’s great delight, he is emerging as a talented young artist. However, none of this would be possible without the advantages of development, and Nono is only alive today thanks to the advances of modern medicine. ​Through the lives of three generations of the Namgyal family, The Song Collector explores the uneasy relationship between culture and development and ultimately offers a new vision, inspired by the Buddhist concept of the ‘middle path’, that seeks to find a beneficial coexistence between tradition and modernization.